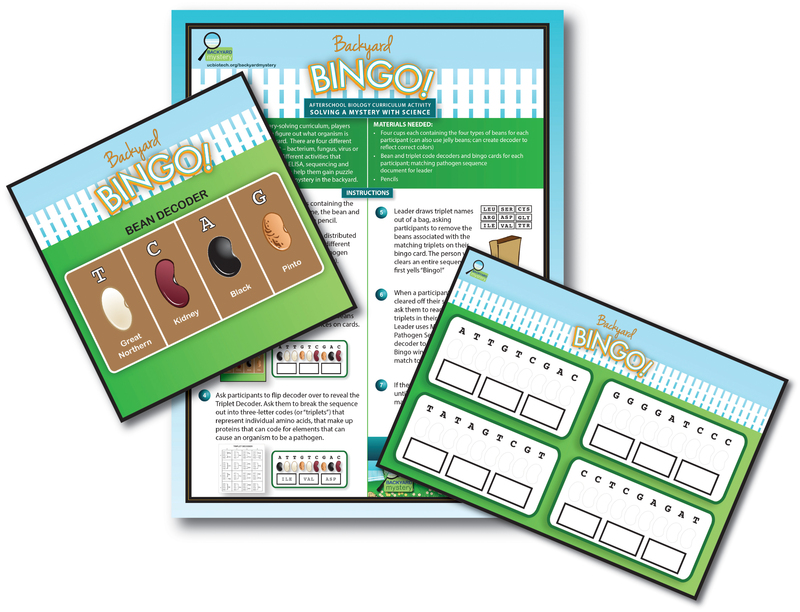 Based on the "Beans Tell the Story" hands-on activity in Expanded Lesson 2 we have created a new game called "Backyard Bingo!" Participants use a bingo card and beans to recreate sequences, and then learn if any of their sequences match a pathogen by playing bingo using triplet code. As seen at the California Agriculture in the Classroom Make 'n' Take session in Santa Cruz, CA, October 18, 2014. Game is available for complimentary download! Please complete the form below to request the currriculum. Please note that the download is complimentary! We only ask that you please complete a survey to let us know what you think of the game (link provided in the instructions). If you have any questions please feel free to send an email and we will be happy to help. Copyright (c) 2014 ucbiotech.org. All rights reserved.